The sale of commercial trucks in Russia is showing double-digit growth for the third month in a row. Autostat Analytic Agency, a statistical agency engaged in monitoring automotive sales in Russia, says that March’s figures are up by nearly 40% compared to this time last year, with sales also up an impressive 25% and 28% in January and February. According to Autostat’s figures, commercial truck sales jump by 39.8% in March 2017 compared to the same period last year, with dealers selling a total of 5,457 new vehicles. 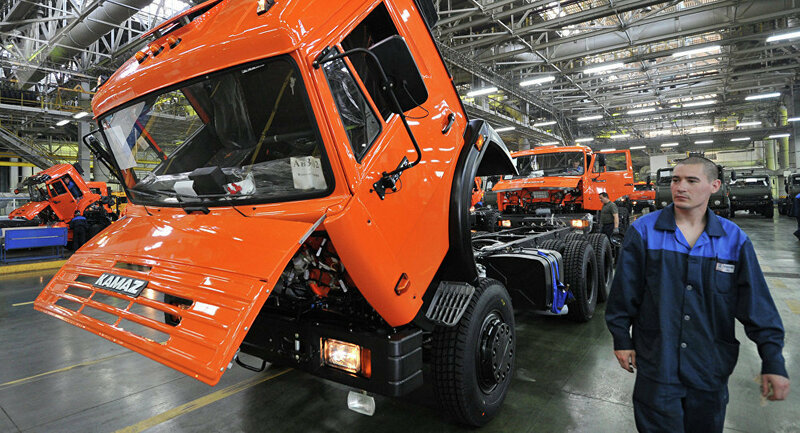 Russian truck manufactures Kamaz and Gaz led sales, selling nearly 56% of the new vehicles, with Mercedes coming in third, selling almost 400 new trucks last month. Scania, Volvo, Maz, Ural, DAF, MAN and Isuzu rounded out the top ten. The Kamaz 43118, a widely used work horse of Russia’s roads, became the top selling model, with GAZ’s GAZon Next, which sells in a variety of configurations, became the top domestic trucks sold. The Mercedes-Benz Actros heavy duty transport truck led the way among foreign manufacturers. Commenting on the figures, Expert.ru contributor Alexei Grammatchikov explained that the expansion of sales in the commercial truck sector should be seen as one of the first signs of a general economic recovery, with businesses aided by more affordable loans, and taking advantage of a stabilizing exchange rate. Russia’s GDP grew an anemic 0.3% in 2016, stabilizing following a contraction of 3.8% the year before amid declining oil prices, the outflow of Western capital, the devaluation of the ruble, and sanctions. This year, the Central Bank and the Ministry of Economic Development expect growth between 1.5-2%. According to Marat Zainetdinov, CEO of the logistics firm Nawinia Rus, the purchases can also be attributed in part to pent-up demand, with major logistics companies calculating that they can no longer postpone upgrading their fleets. The expert noted that this was particularly true for companies such as Magnit and X5 Retail Group, two major supermarket chains which have significantly increased their market share over the last few years, and simply need more vehicles. “Furthermore, haulage quality standards and requirements for hauling stock have become more stringent, demanding the replacement of obsolete equipment,” Zainetdinov said. Analysts and manufacturers expect the growth in demand to remain stable at the current high levels, with sales expected to grow by 20-30% in 2017 compared to 2016.